During our first week in Laos I had the opportunity to visit Big Brother Mouse in Luang Prabang, Laos. 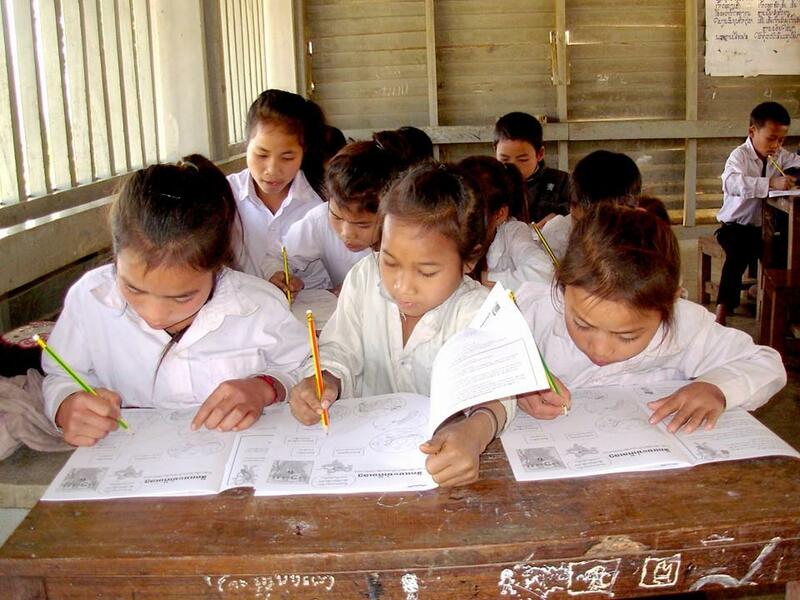 Their mission, among other things is to change Laos from a country where “people don’t read” to a country that loves books. And they are succeeding one book at a time. 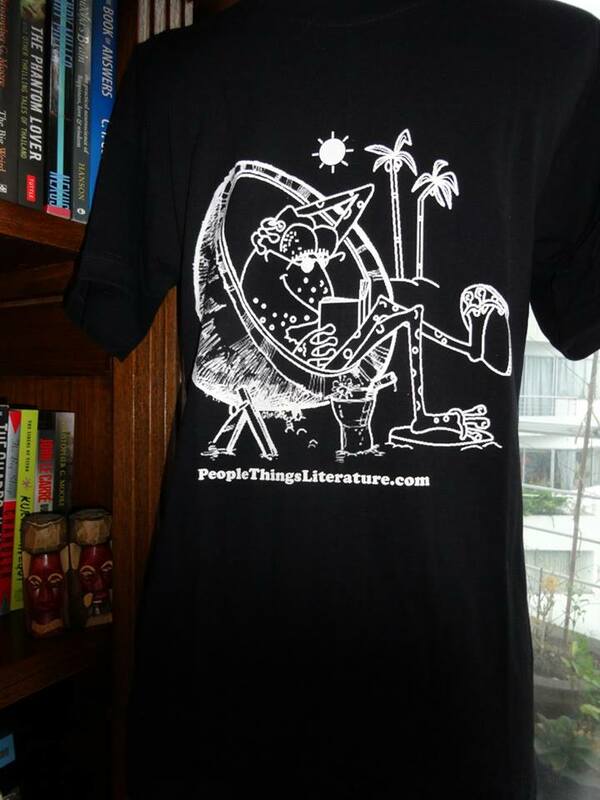 When I did the soft opening for Gop T-shirts designed by Thailand author Colin Cotterill I comitted to giving $6.00 for every Tshirt sold to Big Brother Mouse for the 2013 year. An appointment was made to meet Siphone the Managing Director of the NGO and a graduate at the Teacher Training College to make a donation from the proceeds of those T-shirt sales. The amount came close to 1,000,000 kip, the currency of Laos. In USA dollars that amount is around $120.00. Nevertheless I had never donated one million of anything before so I made up the difference and donated 1,000,000 kip to Big Brother Mouse. That’s me on the right presenting Siphone with 3 size small Gop T-shirts and receiving a receipt for the donation. 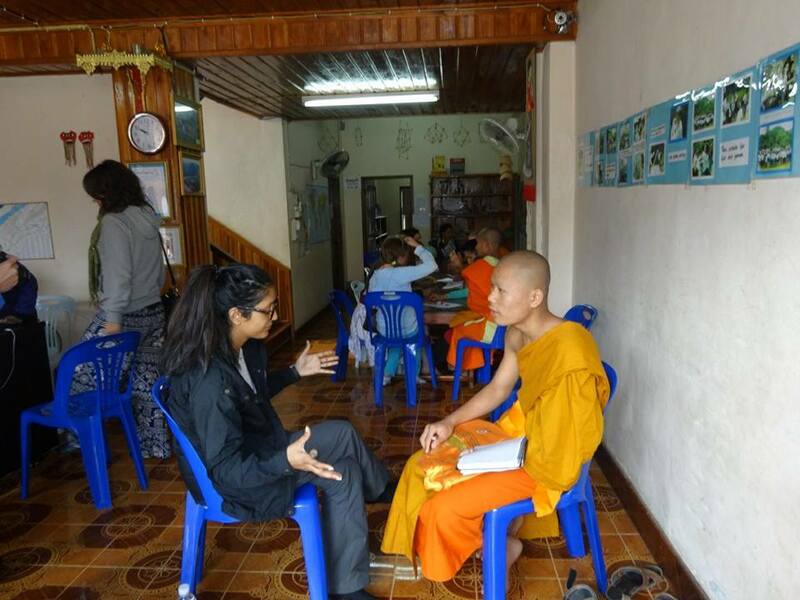 In addition to their reading program Big Brother Mouse offers free English lessons to the many monks living in the dozens of nearby temples. 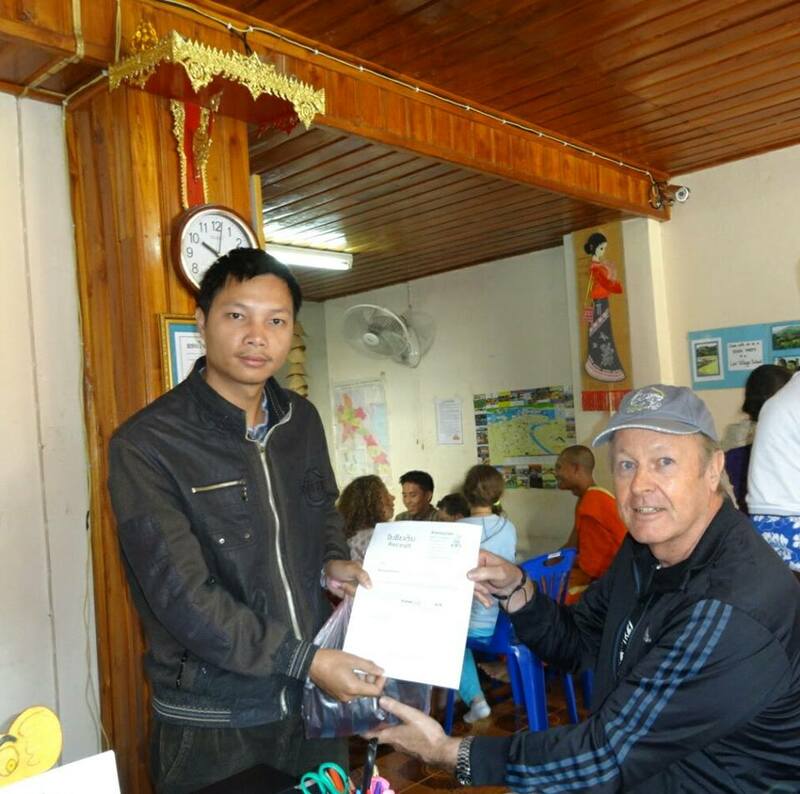 The teachers are often visiting foreigners who volunteer their services. A few days after making the donation from readers of this blog I received a nice email from Siphone letting me know the Gop Tshirts had been given to three Laos children and that while they were a little big they were definitely happy to get them. More importantly he said, more children will receive books to read from Big Brother Mouse. Thanks to all the Gop Tshirt buyers and wearers out there. My message, which Colin’s art conveys perfectly, is that reading can make your world bigger, for anyone. It’s a habit best learned early and Big Brother Mouse is doing a good job in a country that needs all the help it can get when it comes to reading. A special nod of appreciation to a T-shirt expert I consulted with prior to ordering my first batch of Gop T’s. He had many years in the business. “How should I break down the sizes in my order?” I asked. “What size are you?” He replied. “Get plenty of those.” He said. If you’d like to learn more about Big Brother Mouse go to their web site at http://www.bigbrothermouse.com or simply click their sign, above.